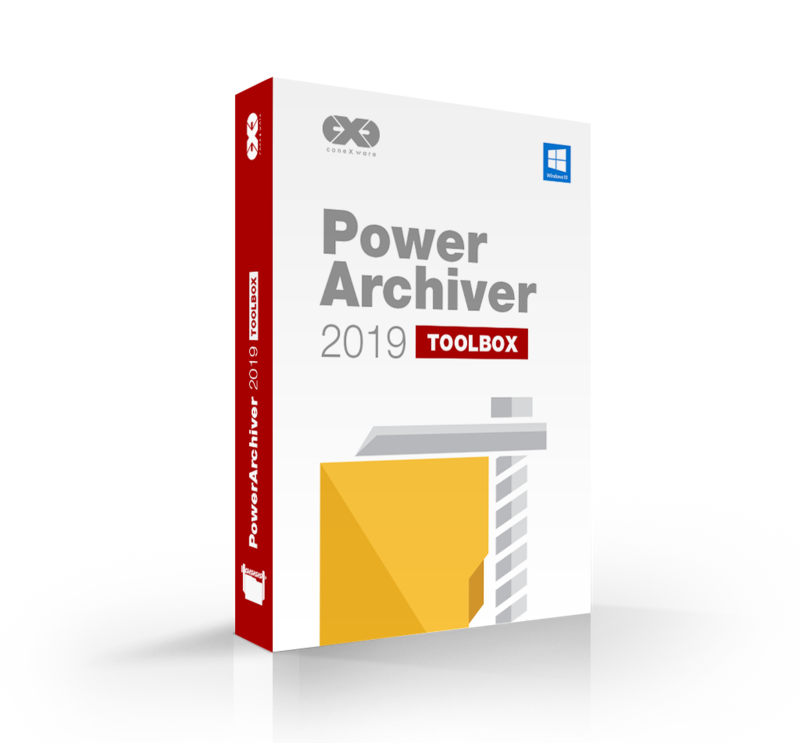 PowerArchiver 2019 Toolbox – Special Offer! Includes 3 years of updates and support. 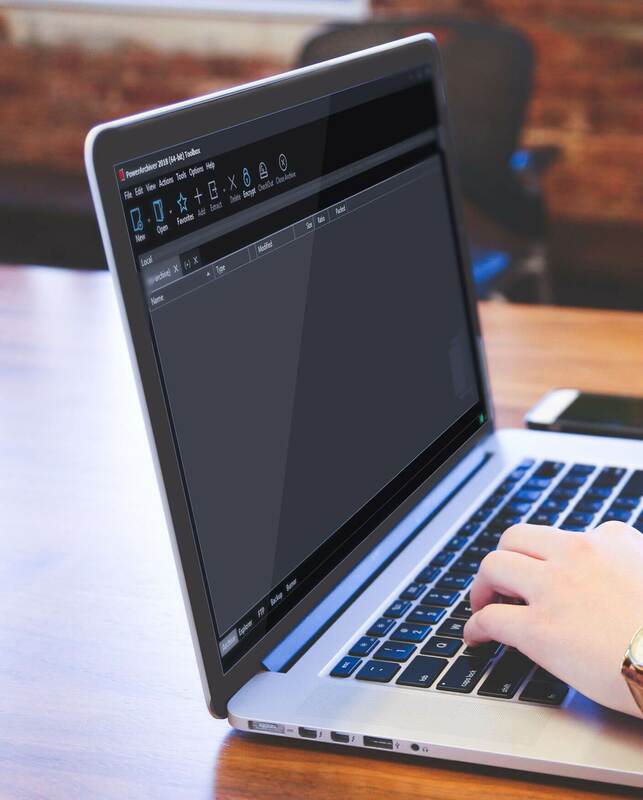 Best version of PowerArchiver, with all compression features including .pa format, backup client, secure ftp client, encryption suite with FIPS 140-2 encryption, full CD/DVD burner with virtual ISO drive and access to 6 different cloud services. $49.95 with Lifetime Upgrades Lifetime! 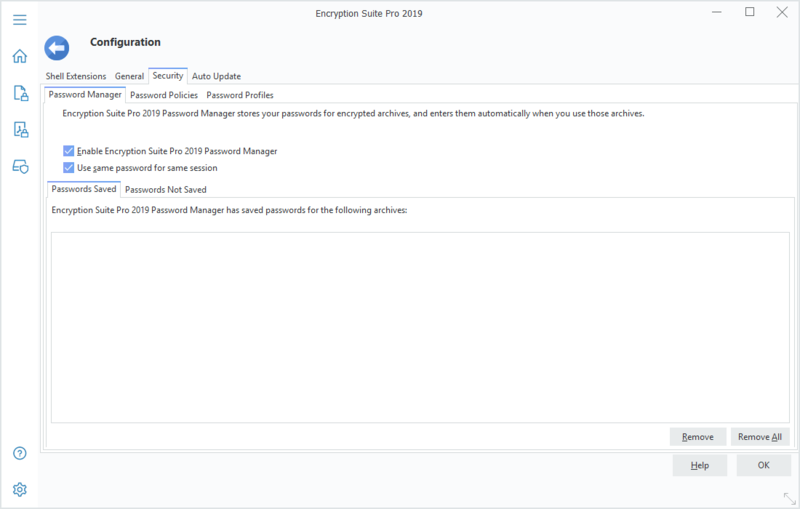 Lifetime license for Encryption Suite Pro 2019 with lifetime free upgrades and support (Lifetime Select Plan) – best version! 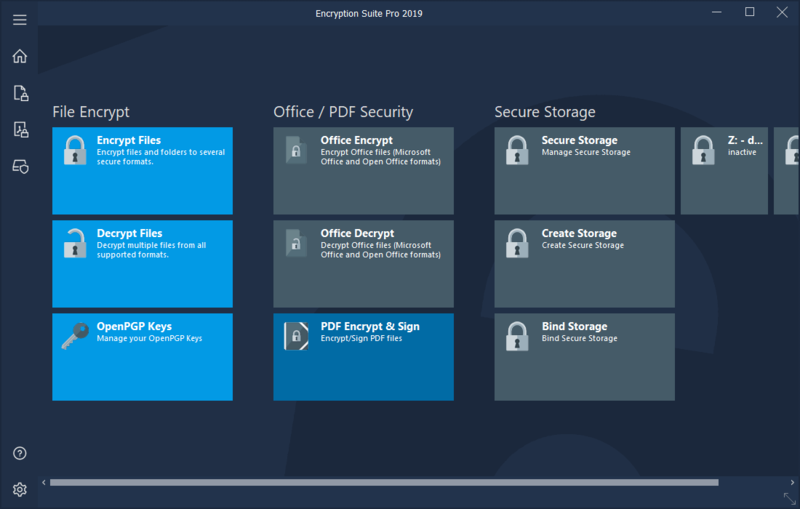 This is the best Encryption Suite Pro version with all the features available, including encryption withs FIPS 140-2, Office encryption (pdf, docx, more), and virtual hard drives with encryption (AES 256-bit). License includes free future upgrades and support under Encryption Suite Pro Select Plan. 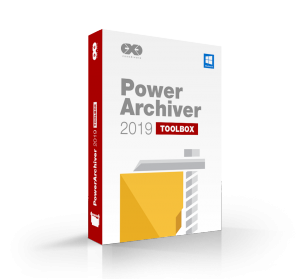 Lifetime license for PowerArchiver 2019 Toolbox with lifetime free upgrades and support (Lifetime Select Plan) – best version! 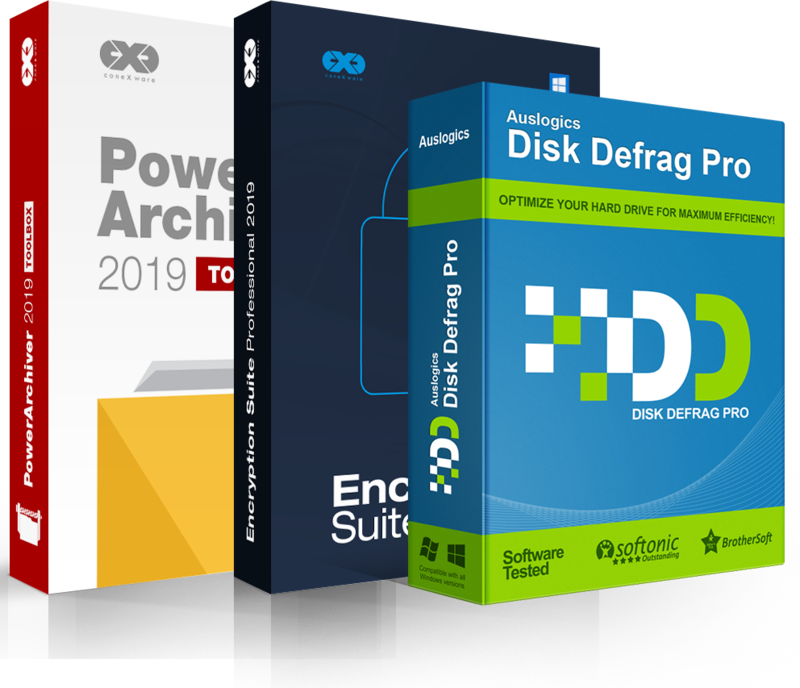 Free 12 month subscription for Auslogics Disk Defrag Pro – $29.95 value. Disk Defrag Pro is the best rated disk optimization software. Free license for Auslogics Disk Defrag Pro is limited to first 100 purchases! 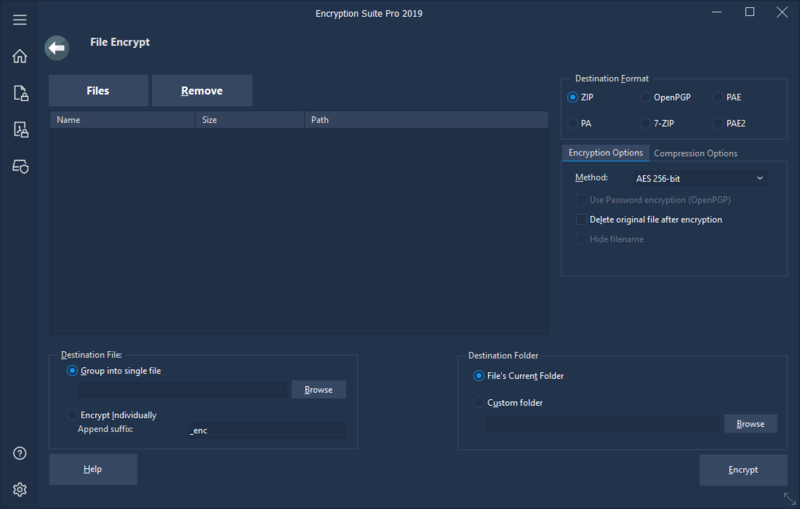 Encryption Suite Pro 2019 is a new product from PowerArchiver Team. 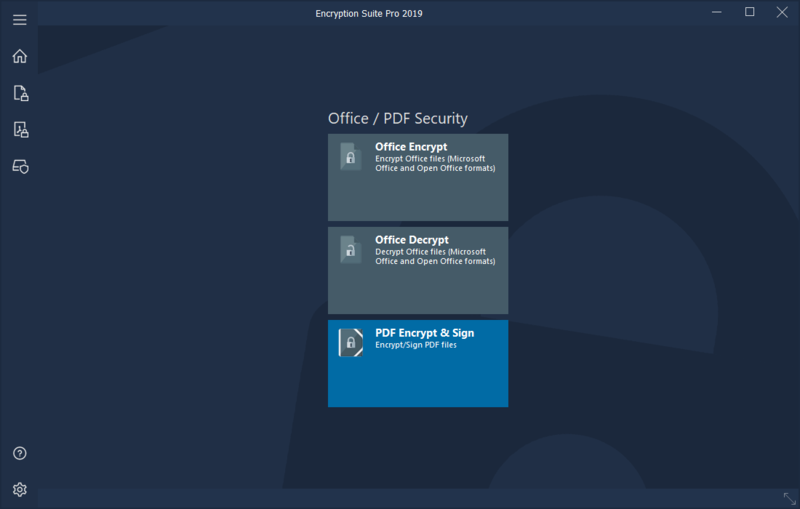 It contains 3 main components – File Encryption lets you encrypt any file in several formats (ZIP, OpenPGP and more), Document Encryption lets you encrypt office documents with their own built in encryption – DOCX, PDF (and more…), while Secure Storage lets you create encrypted virtual drives that are easy to use via Windows Explorer. It is easy to use and packed with great features. Get more info here. PowerArchiver Select is a premium Support and Maintenance plan with the following features: Upgrade Assurance (free upgrade to all major/minor versions), Live Registration system that keeps your code up to date, priority Support including Phone (48hr response), Priority Feature Requests, Priority BETA releases (get new BETA release before anyone else!). Level of end-user support in PowerArchiver Select is unprecedented in the software utilities industry, where none of our competitors offer even phone support, let alone ability to influence future development. Virtual Drive – Mount ISO files as CD/DVDdrives with simple right click options. Copy CD/DVD discs to ISO images for safe storage! Secure FTP Client – full standalone FTP/SFTP client with logs, queue, smart handling of archives and more. FIPS 140-2 validated SSL. Zip to Email – Premium Email plugin for Windows and Office products! Advanced settings tab for Advanced Codec Pack (.PA Format). Adjust all of your compression options available for .PA format.. Create advanced ISO Image files (both ISO9660 and UDF). PowerArchiver Cloud – Full support for Dropbox, Google Drive, SkyDrive, Box.Net, Amazon S3 and Azure. Access your Clouds from within PowerArchiver. PowerArchiver Cloud – Full support for Dropbox, Google Drive, SkyDrive, Box.Net, Amazon S3 and Azure. Access your Clouds from within PowerArchiver. Encryption Suite with full AES 256 bit encryption support. FIPS 140-2 validated AES encryption. Encrypt/Decrypt hundreds of files at the same time. 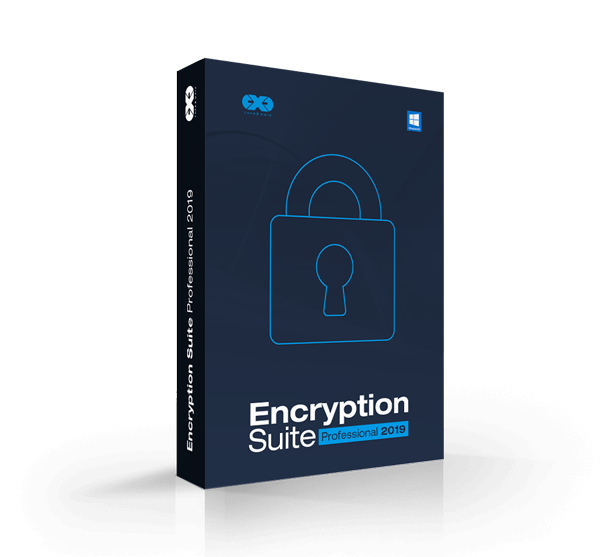 Encryption Suite with full AES 256 bit encryption support. FIPS 140-2 validated AES encryption. Encrypt/Decrypt hundreds of files at the same time. Full OpenPGP functionality: create keys, encrypt files, sign files, verify. Key Management features included. Full OpenPGP functionality: create keys, encrypt files, sign files, verify. Key Management features included. Enterprise class Backup utility with Volume Shadow Service support, schedules, logs and ability to Burn, FTP and Copy backups up to 3 locations, all at the same time. Many formats and options available. Enterprise class Backup utility with Volume Shadow Service support, schedules, logs and ability to Burn, FTP and Copy backups up to 3 locations, all at the same time. Many formats and options available. Full copy of PowerArchiver Command Line (PACL) included. Fully featured command line utility with many features, full format support and FIPS 140-2 validated encryption modules. Full copy of PowerArchiver Command Line (PACL) included. Fully featured command line utility with many features, full format support and FIPS 140-2 validated encryption modules. Full copy of PowerArchiver for Office Add-in (PAOP) included. Microsoft Outlook, Word and Excel Add-Ins. One of the best Microsoft Outlook compression/encryption add-ins on the market. Full copy of PowerArchiver for Office Add-in (PAOP) included. Microsoft Outlook, Word and Excel Add-Ins. One of the best Microsoft Outlook compression/encryption add-ins on the market.